Various medical tests can uncover chronic bronchitis and emphysema, the two aspects of chronic obstructive pulmonary disease (COPD), as well as the general stage of your illness, but this diagnosis won’t offer a complete picture. A COPD prognosis is personalized — your clinical results will combine with your specific set of symptoms and lifestyle factors to determine the severity and impact of your condition. Only then will you be able to find the most effective approach to management and treatment of COPD. Unlike other chronic progressive diseases, COPD is not divided into clear, visible stages. Instead, professionals use what’s known as the GOLD criteria to track the disease. The Global Initiative for Chronic Obstructive Lung Disease (GOLD) evaluates a patient’s airflow with a technique called spirometry. The more difficult it is for you to expel all the air from your lungs, the more advanced your COPD is. The old system of staging COPD through spirometry has recently been updated so a more precise diagnosis of COPD and its effect on patients can be made. Depending on your FEV and FVC results, your COPD will fall into one of four stages. Stage one is mild, with little noticeable decline in lung function, while stage four is severe and will likely require long-term oxygen therapy. COPD can progress rapidly, but the symptoms often build gradually, and many patients don’t even realize they suffer from COPD until they have reached stage two. The GOLD stages of COPD criteria are certainly helpful, but they don’t explain the breadth of symptoms that various COPD patients will experience. More mucus and chronic cough (most often the first sign of COPD). Shortness of breath and fatigue with daily activities (usually indicates some loss of lung function). Respiratory infections (frequency may increase gradually every year). Increasing breathlessness (eventually, this begins to impact your quality of life). Weight loss (the body requires more energy to breathe, and eating may become strenuous or uncomfortable). Headaches in the morning (high levels of carbon dioxide in the blood can lead to a headache). Swollen feet and ankles (circulation suffers because of stress on the heart). Other lifestyle factors may affect your symptoms, so even if you’re technically at stage one, you may show symptoms of more advanced COPD, or you could have relatively mild symptoms at later stages. Next page: An overview guide about each of the COPD stages and more. Most patients when first diagnosed with COPD struggle psychologically. When you are told, you have a progressive lung disease which has no cure it can be overwhelming. However, while hard, it’s important to acknowledge you have COPD so you can start the fight against it. Learning as much as you can about COPD is an excellent way to start your journey and will put you in good stead to achieve some quality of life. While there is no cure for COPD, more and more research is coming out about how the disease progress can be slowed. Putting together a COPD action plan with your healthcare professional is a major step early on in your diagnosis. We now know the earlier a patient is diagnosed, the better outcomes they will have. Progression through the COPD stages can differ from patient to patient, and it is important from a patient’s perspective not to concern themselves too much with the stage they are at. My own experience is a good example. I am considered GOLD 4 – very severe, yet I have completed numerous endurance events since being diagnosed. There are much more patients from a variety of age groups and disease severity who lead a better quality of life than their diagnosis may suggest. It certainly sounds like a morbid prognosis, but stage four COPD (or “end stage”) doesn’t necessarily mean you’re at the end of your life. The clinical term is really to help doctors predict a patient’s risk of exacerbations, so they can choose an appropriate treatment plan for better symptom control. It’s natural to be afraid, angry and sad when given an end-stage diagnosis, but if you learn the steps you can take to prolong your life, you can eliminate some of the fear and uncertainty. Inhaled bronchodilators and corticosteroids can bring lasting increases in lung function, pulmonary rehabilitation programs can improve your energy and mobility, and a good action plan can help you prevent and overcome exacerbations quickly to prevent further lung damage. Even though there is no cure for COPD, you still have the power to improve and sustain your life, so don’t give up. When it comes to COPD treatment options for managing your condition, I think it’s important to separate traditional and non-traditional options. Smoking cessation – The number one priority if you’re still smoking when diagnosed. Medication – Doctors will determine your diagnosis and severity what medications are most suitable for you. Exercise – Activity is vital when diagnosed with COPD. Studies have shown patients who remain active will enjoy a better quality of life than those who are sedentary. Pulmonary rehabilitation is an excellent way to learn what exercises are suitable for you as well as connecting with other patients. Breathing exercises – This type of exercise may help with strengthening airways and your lungs at the same time. Lifestyle changes to minimize the risk of exposure to triggers of COPD is beneficial – Wood heating and cooking should be eliminated from the house to avoid inhaling smoke and fumes. Limiting contact with chemicals should also be avoided as this can cause a sudden increase in breathlessness. Surgery – There are some surgical options which can be considered for a COPD patient. If other treatments are not working this maybe something to discuss with your doctor. Vaccinations – Flu and pneumonia vaccinations are strongly recommended for COPD patients. Contracting either illness can be catastrophic for patients as the disease has already weakened their lungs. The vaccinations are no guarantee you will not become ill, but they are the best defense available at this stage. 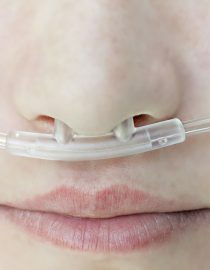 Oxygen therapy – For patients who have problems with a gas exchange within their lungs oxygen therapy is beneficial. Oxygen is given to a patient via many available devices. Having oxygen therapy can give a patient more mobility and reduce the time they are homebound. These are the most common traditional treatments for managing COPD. Availability, costs, and access can vary between countries due partly to healthcare systems and insurance. So keep this in mind when researching the above treatments. Chinese medicine – Chinese medicine doctors use ancient traditional herbal remedies to help manage COPD. Vitamin Supplements – If you read enough information on the internet, you’ll find most vitamin supplements are recommended for everyone, whether you have a disease or not. Do your research and consult with your doctor before committing to a supplement regime. Medical Marijuana – It was a hot topic at the moment and discussed in many COPD patient forums. While there are some studies which support possible benefits of using medical marijuana for its anti-inflammatory effects we’re a long way from it being a widely used therapy. Salt Therapy – This is another therapy which has been the subject of much discussion in patient groups. Salt treatments are supposed to kill bacteria in the lungs and liquefy mucus. At this stage, there is little evidence to support these claims. Ketogenic Diet – Recent research has shown this diet to have therapeutic effects for some diseases. For COPD, the diet improved pulmonary function and overall quality of life. Those of you who have followed my journey would know I like to try different strategies in order to help improve my overall quality of life. Remember this, anything I seek is done in consultation with healthcare professionals, and I strongly advise other patients to do the same before trying any treatment because each treatment works differently for each individual. Your healthcare professional will help you find and tailor a treatment that works for your symptoms and your COPD stage.